1. Genuine Guang xi cummins electric control turbo-supercharged engine, high power, reliable performance. 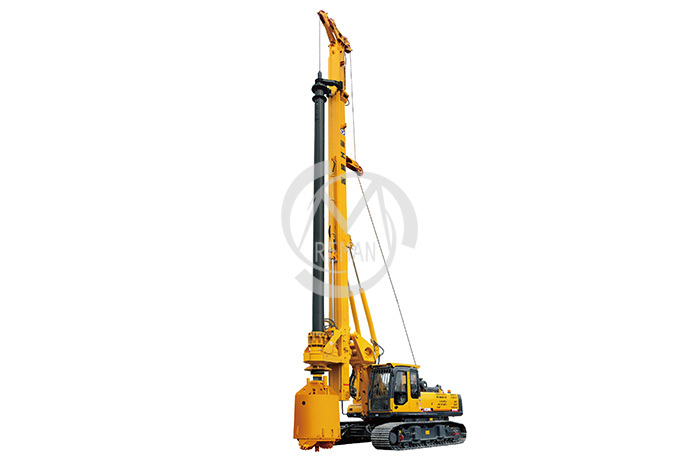 2. special telescopic rotary excavating undercarriage, equipped with double-box type derricking machanism, easy for transportation and adjustment, enabling excellent operation stability and reliability. 3. Imported Kawasaki hydraulic components, reasonable power system matching and high construction efficiency. 4. Global satellite positioning system(GPS), allowing remote data analysis, real-time monitoring and fault diagnosis of complete machine. 5. Independent intellectual property intelligent control system, CAN bus and PLC control system application, including the mast verticality auto/manual adustment, depth auto detection and display, intelligent fault diagnosis control etc.